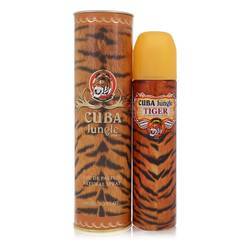 Cuba Tiger Perfume by Fragluxe, Cuba Tiger, by Fragluxe, is a fruity fragrance that is perfect for the woman who wants to show off their femininity while taking charge of their environment. Sophisticated and refreshing, this enticing aroma carries the day whether worn for special occasions or around the office. It also has what it takes to dance away an adventurous night on the town. Spray on this alluring scent whenever you want to make an impression that lasts long after you’ve left the room. Read More Read More This captivating fragrance utilizes the simple, yet compelling, blend of magnolia, citrus and lavender notes. The design house of Fragluxe works with the fragrance house of Cuba Paris to bring high-quality scents to the marketplace that capture the exotic Caribbean way of life. 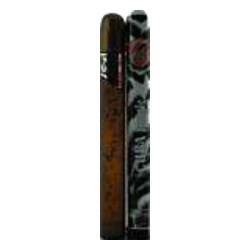 This unforgettable fragrance ships in a spray bottle modeled after the iconic Cuban cigar. With Cuba Tiger, this powerhouse collaboration has created a women’s aroma that is destined to become a favorite in any scent collection. All products are original, authentic name brands. We do not sell knockoffs or imitations.